The fiefdom of Brithem is a thousand-acre estate comprised of an expansive castle and a handful of outlying farms. The below drawing is to serve as abstract concept only, illustrating the stylistic architecture and relative size of the primary structure. 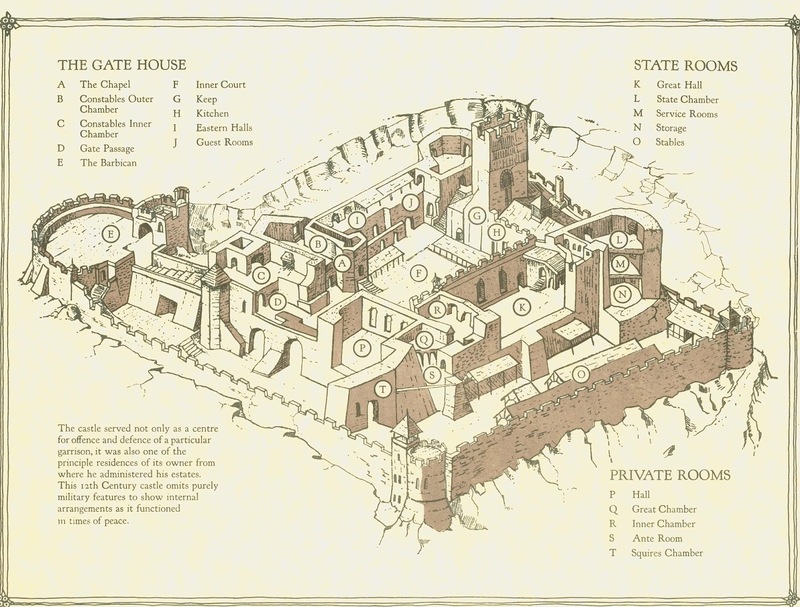 The castle itself is home to nearly a hundred individuals, from soldiers and nobility to servants, laborers, cooks, footmen, and specialized craftsmen such as an armorer and weaponsmith. The surrounding farmlands reap protection from the castle and provide sustenance to its Lady and her constituents. 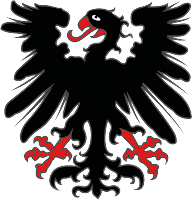 Brithem's banner is a black eagle with red talons, emblazoned on the breastplates and shields of its soldiery. "The castle is in grave danger. Bring whatever aid you can muster, but come quickly. The need is urgent; do not delay." Three months between games isn't a cadence I like to keep, but after scheduling conflicts, holidays, and seasonal illnesses, that's what we ended up with. Hopefully now that we're back into the swing of things we can start playing more regularly. Berwyn's player will likely only be semi-regular at best from now on (again, due to scheduling), but I'm keeping his character in the loop for the time being. We'll see how it plays out. Due to the long delay, we advanced past the events in Wolford. In the aftermath of the party's foray with the lizard men, Wolford's miners returned to the newly explored caverns and sealed off the waterlogged passages responsible for the reptilian intrusion. The mining operation restored, Armandras withdrew his expedition from the village - much to the chagrin of Lady Sophia, as Wolford's soldiers continued to uncover signs of goblin activity in the area, threatening their livelihood. Still, Armandras' help came at a steep financial cost, and Lady Sophia's further negotiations with the merchant proved fruitless. Eyrior, the warrior, accepted his payment from Armandras and elected to pledge fealty to Wolford and remain; Segrim, Pevrel, and the PCs accompanied the merchant back to Luskan. Along the way, Berwyn received a distressing magical message from his homeland: the fiefdom was in great peril and his help urgently requested, along with that of any other trusted companions he could gather. Consequently, Berwyn and the PCs took their allotment of a dozen platinum coins each from Armandras and departed Luskan's gates on the very eve they returned. They traveled hard into the night, covering a quarter of the distance south before setting camp. Riwyn's owl familiar Merlin circled the moonlit sky as they slept; when they awoke, they pressed on, hiding off the road when a wagon of raucous dwarves passed them in the late afternoon, and arriving at a crossroads shortly after middark. The crossroads bore signs of recent caravan passage, and was adorned with piked skulls of various goblinkin, long since picked clean. Again the party camped, but were wakened abruptly when Riwyn sensed that Merlin had been injured. The owl returned to her with a bloody wing, and as the PCs paced the grounds, Arendeth and Berwyn suddenly fell unconscious. A robed spellcaster with exotic skin was spotted to the east, and a handful of bow-wielding highwaymen advanced in and out of tree cover, demanding gold. Wren and Riwyn withdrew from the campsite, but when the robbers aimed their arrows at the sleep-induced party members, pouches of coin were tossed willingly onto the road. The highwaymen took the offerings and fled back into the night before Arendeth and Berwyn were forcibly awakened. Distraught and not caring to remain, the party followed the westward trail toward Brithem, a hilltop castle overlooking the Sea of Swords, protected from seafaring pirates by a barrier of jagged rocks. The fiefdom was bordered to the north by marshland yielding to a deep forest called the Witherwood, and surrounded by a handful of outlying farms. Upon their arrival, the PCs met the dowager, Lady Deidre (Berwyn's mother); her wizardess protector and advisor, Mara; and the quartermaster of Brithem's soldiery, Roth-grim. 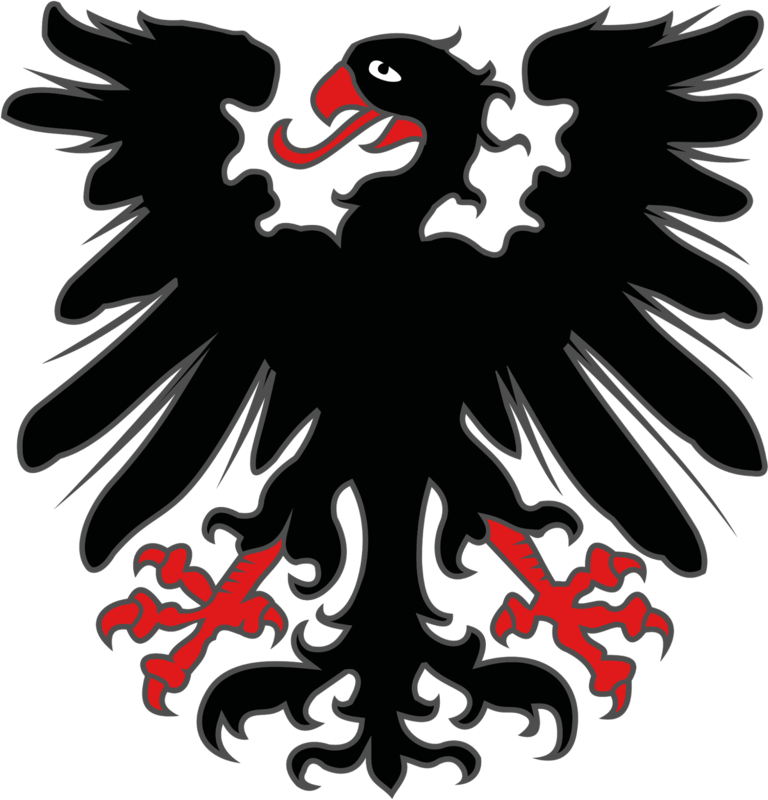 On the captain's breastplate was emblazoned a black eagle crest with red talons. Several nights earlier, Brithem was assaulted by a pair of acid-spewing black dragons that had recently taken residence in the Witherwood, evidenced by a corroded and collapsed tower on the castle's eastern wall. The fiefdom was taken by surprise, losing half of its trained warriors along with a number of servants and laborers. Return attacks were futile; the dragons withdrew only after expending their breath weapons. In the battle's wake, Lady Deidre bade Mara to make contact with Berwyn as soon as she was able. The dragons have since been sighted circling above the Witherwood at night, and gnolls typically confined to the forest have begun wandering the marshland, likely driven southward by the dragons' presence. Their motives not yet fully known, it seems only a matter of time before the dragons attack again. Not sure how the players all felt since everyone was tired by the end, but I really enjoyed running this session. The PCs were fairly duped by the highwaymen after their caster rolled the maximum possible affected hit dice on his sleep spell. I didn't know how that encounter might play out, especially if the characters decided to give chase into the woods. In the end though, the party's collective desire to reach Brithem took precedence, and they reluctantly acquiesced to "let sleeping dragons lie." I'm interested to see how the players make use of these resources, and to what end. This isn't the kind of scenario I've commonly run or played in my history with D&D, so it really strikes me as fascinating. Maybe Adam will make an appearance next time to take control of Berwyn again; we'll see! I know I haven't handed out XP in the campaign yet. Some awards are definitely in order, I just want to get to a better stopping point first. Next session might get us to decent place... assuming everyone survives. What's the missile range and damage for ballistae in AD&D, anyway?